I really enjoy doing simple science experiments with kids. 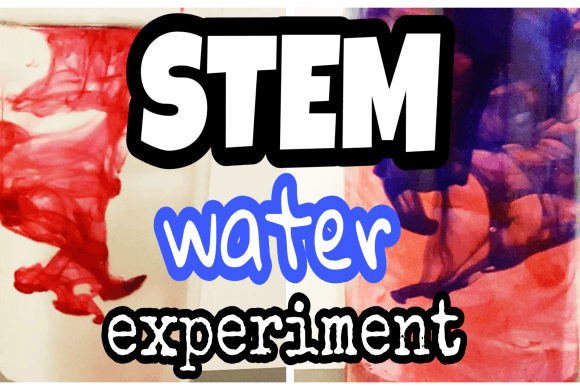 They learn so much from the experiments and it gets them excited about science. Some students recently asked how water gets into a tree. They knew that leaves don’t ‘drink’ the rain, but wondered how the water got into the leaves and tree. I decided to try this experiment with them to help explain. 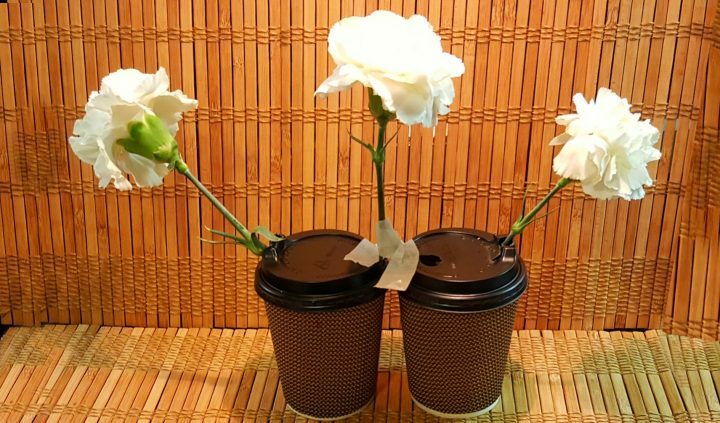 To start, I used 3 white carnation flowers. I filled a cup with water and then added (quite a bit) of food colouring (1 to 4 ratio of water to food colouring.) The more colouring you add, the more vibrant the colour will be. In one of the cups, I added blue colouring. In the other, I added red. I then put one carnation into each cup. I decided to use cups with lids just in case they were knocked over. It helped avoid a huge mess! 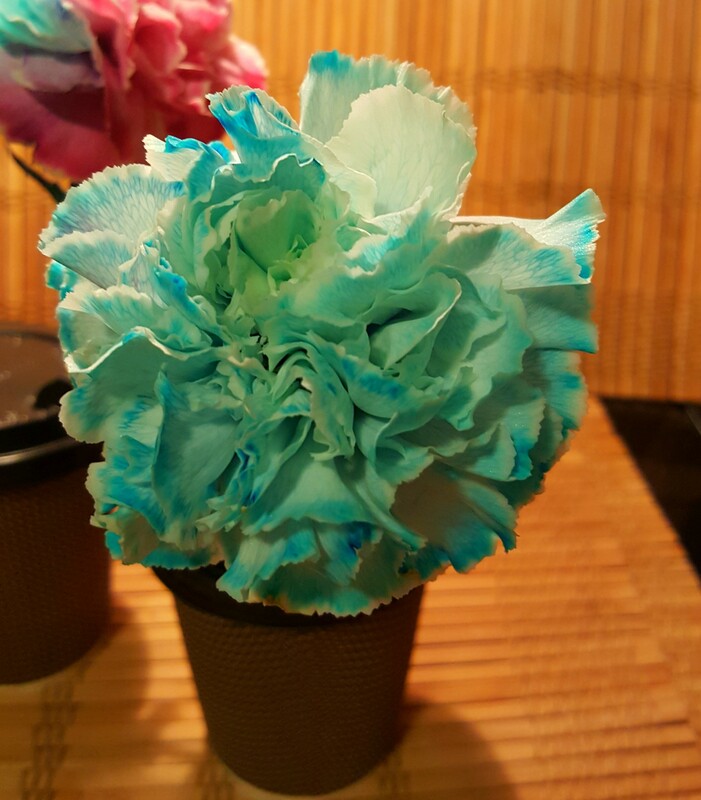 With the third flower, I cut the bottom of the stem in half and put half of the stem into the red water, and the other half into the blue. 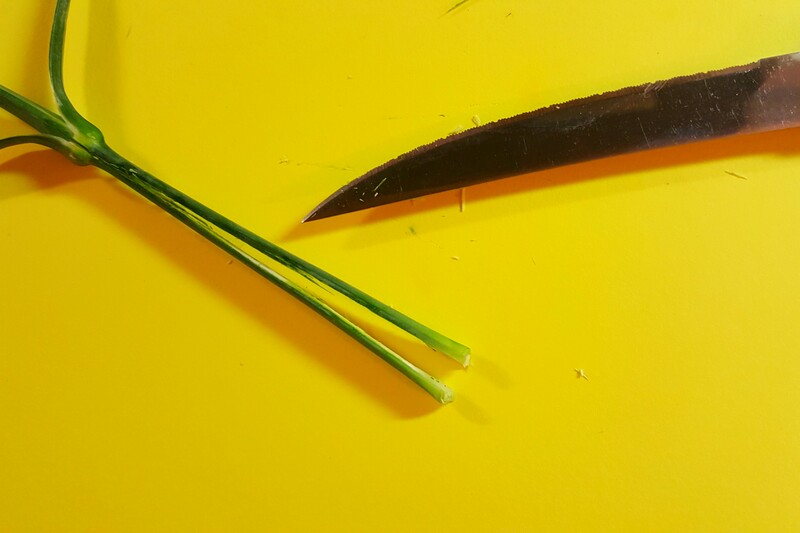 I secured the flower with a bit of tape. As a class, we then made predictions what everyone thought was going to happen. 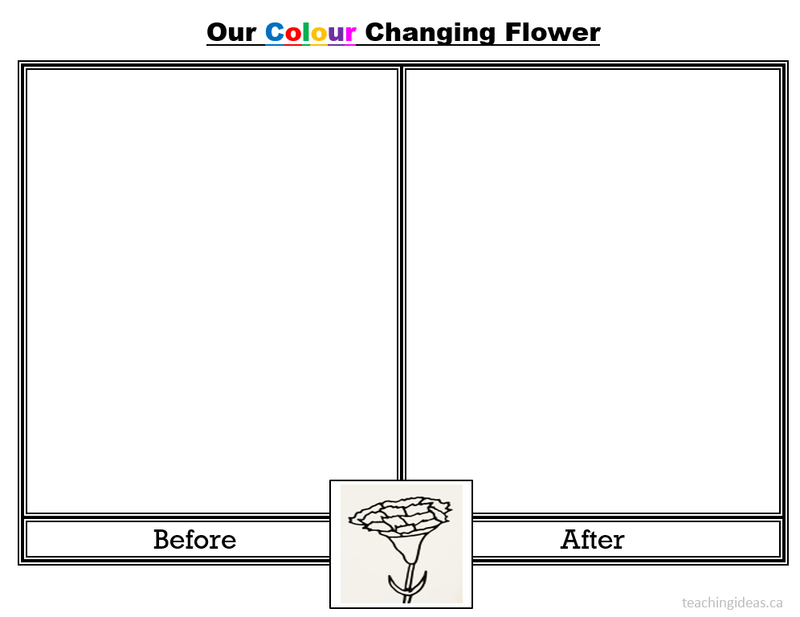 Some kids thought that the stem would change colour, others thought that the colouring would kill the flower. Some even guessed that it would turn the middle flower purple. 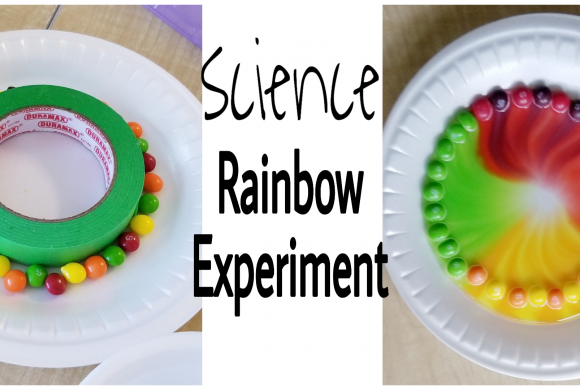 I like that with this experiment, students had to wait for the results – which is common for real science experiments. As we worked on another activity, students began to notice that the flowers were beginning to change! In less than an hour, we could already see some pink and blue. By the next morning, the flowers looked beautiful! I loved the flower that was split between both of the colours. 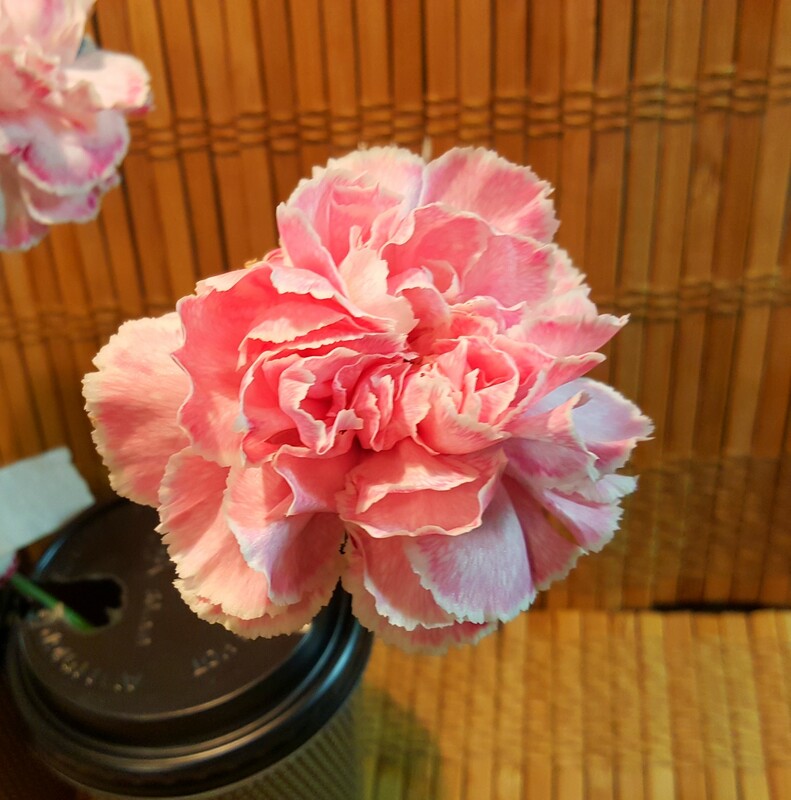 Many of us thought that the flower would turn purple, but we were surprised to see half of the flower turn pink, and the other half blue. 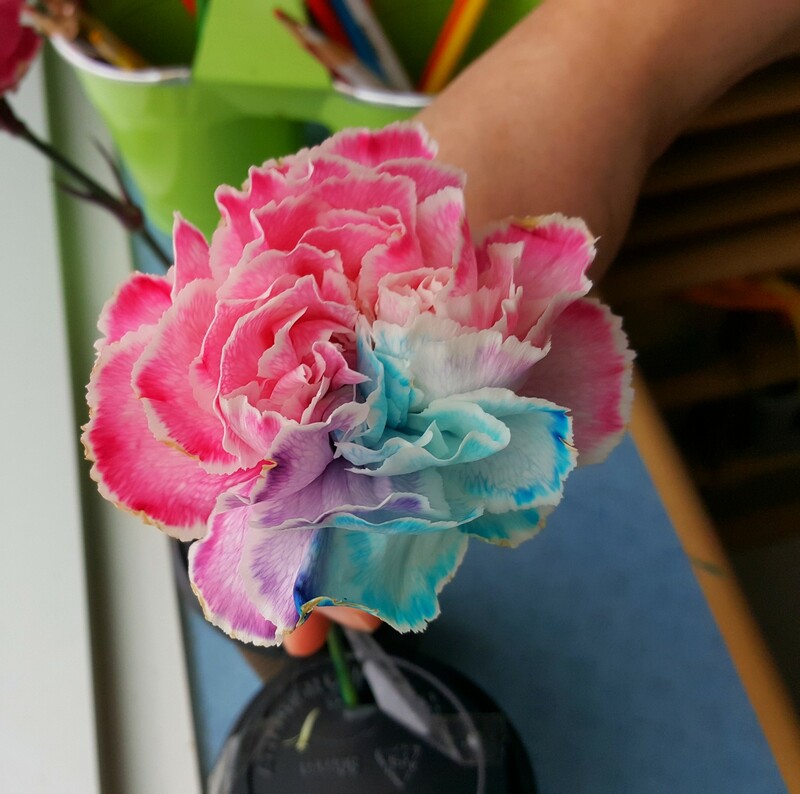 There were a few petals that were a beautiful mix and we saw some purple, but there was a very clear separation of the blue and red. 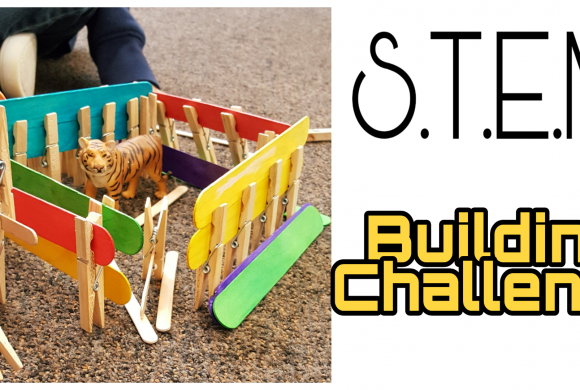 Although we had finished our experiment, there was one more thing that some kids wondered. 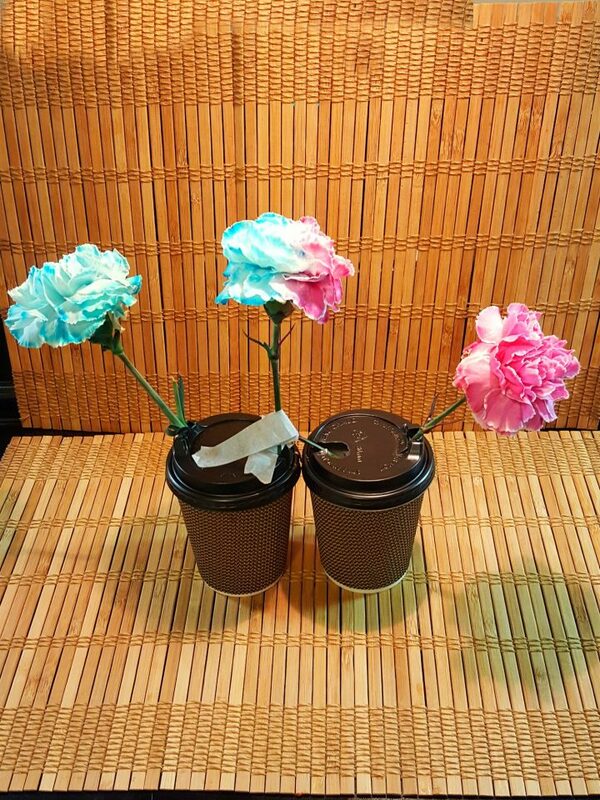 What would happen if we switched the blue flower and put it into the cup with the red food colouring? We tried it and left it over night. Again, our results, were beautiful! The red flower turned a bit maroon when put into the blue water. The blue flower began to show more purple in the petals. I love the colours that we ended up with and the experiment caused so much excitement and discussion between students. 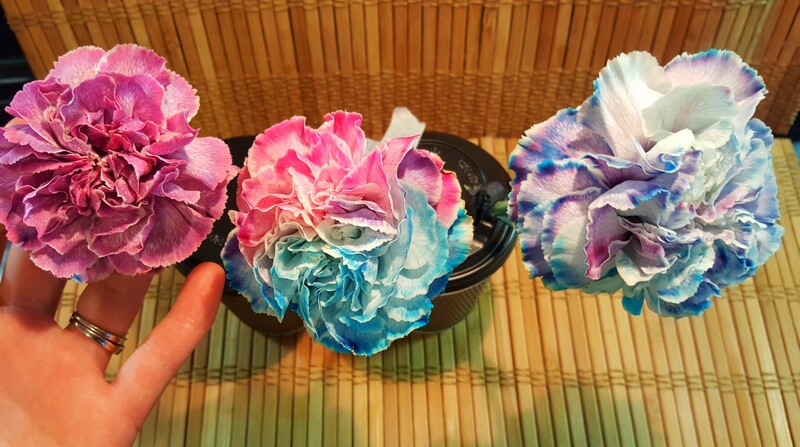 Activity time: 10 minutes on day 1 (set up flowers, show students food colouring being added and predictions). 30 minutes on day 2 (results, discussions, worksheet).